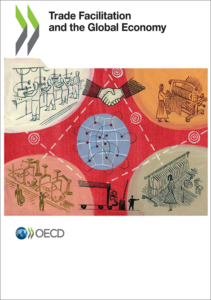 This book uses the OECD’s Trade Facilitation Indicators to analyse the state of trade facilitation reforms around the world at the time the World Trade Organization’s (WTO) Trade Facilitation Agreement (TFA) entered into force, what progress has been made since and the challenges that still remain. It finds that implementation of the TFA is well underway worldwide and technical and financial assistance are playing an important role, although performance varies between country and income level. Improving domestic and cross-border agency co-operation remains critical to paving the way for full implementation. In spite of the challenges, the report is clear on the economic case for trade facilitation reform. Full implementation of the TFA has the potential to reduce trade costs by between 14% and 18%, with the largest gains accruing to countries in the lower income groupings. Ambitious reformers will gain most from faster access to competitively-priced goods, becoming more export-competitive. Full implementation of the agreement will have economy-wide benefits. Lower import-export costs and faster delivery times increase competition between domestic producers, which in turn drives efficiency. Consumption increases as consumers are more willing to pay for faster delivery thanks to increased reliability, and fewer opportunities for corruption leads to better governance and increased trade flows and border tax collection.